The 61st Edinburgh International Film Festival will open with David Mackenzie's Hallam Foe, which is largely set in the Scottish city. Jamie Bell stars alongside Sophia Myles, Ciaran Hinds and Claire Forlani in the story of a voyeuristic teenage boy who struggles with the aftermath of his mother's suicide and escapes from his sheltered existence when he gets a job at an Edinburgh hotel. David Mackenzie, the Scottish-born director who previously directed on films including Young Adam and Asylum, directed from an adapted screenplay he wrote with Ed Whitmore. Gilliam Berrie produced Hallam Foe, with Duncan Reid, Peter Touche and Matthew Justice serving as executive producers. 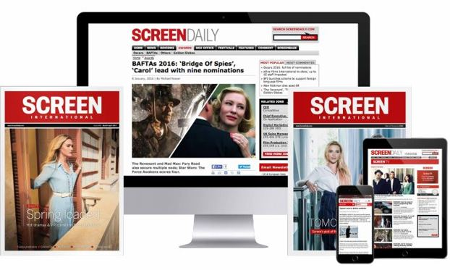 Backers are Film4, Sigma, Lunar, Ingenious and Scottish Screen. The theme of this year's EIFF (Aug 15-26) is The Written Word, fitting since Hallam Foe is adapted from Peter Jinks' Scottish novel. Buena Vista International will release the film in the UK on Aug 31. Magnolia Pictures has US rights.